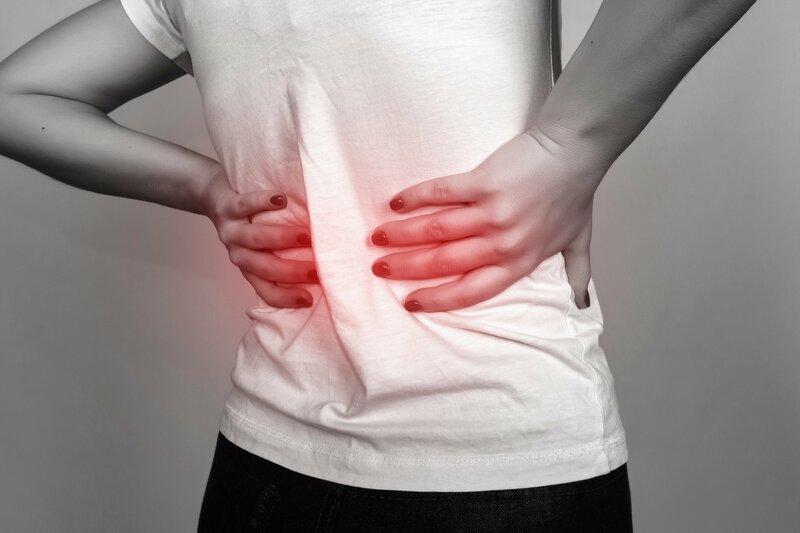 Herniated Disc vs Bulging Disc: What's the Difference? Herniated Disc vs Bulging Disc: What's the Difference? Home Blog Injuries Herniated Disc vs Bulging Disc: What’s the Difference? In 2015, the United States saw a road crash taking place every 4.5 minutes. By the end of that year, the police received almost 6.3 million traffic crash reports. It got worse in 2016. That year, the estimated number of police-reported crashes reached over 7.27 million. The number of fatal car crashes dropped in 2017, but they still claimed more than 37,000 lives. While not all auto accidents are fatal, the majority of them still lead to serious injuries. In 2016 alone, 4.6 million people sustained severe injuries. Such injuries include herniation and bulging of spinal discs. A herniated disc vs. bulging disc are two different things, however. If you were in a car crash, it’s vital to find out which of the two you’re suffering from. We’ll cover the whys and hows in more detail below, so be sure to keep reading. Low back pain affects as much as 80% of the adult population at any given time. Factors, such as age, weight, and lifestyle contribute to this. What a lot of people aren’t aware of is that disc injuries can also cause LBP. Both disc herniation and bulging can lead to back pain. After all, they’re both a type of spinal injury. It’s for this reason many tend to interchange the two. Furthermore, their symptoms following a car crash may not appear right away. But even if you don’t experience any sign of them yet, that doesn’t mean they’re not there. That said, you should pay close attention to what you feel following your accident. This’ll give you the chance to get professional medical help right away for a possible disc disorder. Besides, your symptoms can also make a huge difference when it’s time to make an accident claim. Before we get into the nitty-gritty of disc disorders, let’s talk spinal anatomy first. This way, you can better imagine what disc protrusion vs. herniation is all about. There are 33 individual bones that make up the vertebrae. Only the top-most 24 bones are movable though. Either way, all your bones stack on top of and connect with each other. In their center is a canal, providing protection to the spinal cord. Within the canal are your spinal cords and nerves. Think of them as electrical cables. But instead of current, they carry messages to and from the brain and muscles. Note that not all parts of the nerves are within the canal. Their roots extend outside of the bones’ openings. Then, we have the intervertebral discs, sandwiched between the vertebrae. They’re flat, round, and have a width of about one-half inch. The main purpose of these discs is to serve as a shock absorber with every movement you make. Thanks to them, you can walk, run, or jump without injuring your back. Intervertebral discs consist of two components. These include the annulus fibrosus and the nucleus pulposus. The former makes up the outer ring of the discs, providing them a tough but flexible cover. Inside this ring is the nucleus pulposus, a soft, gel-like substance. It’s this gel that gives the discs the ability to endure compression and torsion. In the case of a herniated or bulging disc, it’s the nucleus pulposus often affected by the injury. So, what’s the difference between bulging and herniated disc? The main thing that distinguishes the two is their disorder classification. A bulging disc is a “contained” type of disc disorder. Herniation is what you call a “non-contained” disc disorder. A bulging disc is a contained injury because it doesn’t cause the nucleus pulposus to leak out. In simpler terms, the jelly-like substance remains inside the annulus fibrosus. However, it results in the formation of a small bulge or bubble which can then pop out the disc. Also, even if the disc hasn’t broken open, it can still protrude into the spinal canal. This protrusion can then press against or irritate a nearby nerve. If this happens, the nerve can get pinched. This can then lead to back pain, numbness, cramping, and even weak muscles. You may also experience pain as well as pins and needles in your legs. Disc herniation is “non-contained” because it leads to the nucleus pulposus leaking out. This happens when the disc’s outer ring sustains a crack big enough for the gel-like substance to get out. Also known as perforated disc, a herniated disc is much more serious than a bulge. Disc herniation has a higher likelihood of causing pain than a bulging disc. After all, the leaking nucleus pulposus gets out of the ring, thereby reaching the nerve roots. The bigger the area of the nerve the leak presses against, the greater the pain. Herniated discs are also the most common lumbar spine abnormality. It affects between two and three percent of the population. In fact, it’s the main reason adults undergo spinal surgery. Disc herniations in the lower back are similar to the symptoms of a bulging disc. If your accident led to this, you might experience intense pain affecting your buttocks. Severe pain in the thighs and calves are also common symptoms. Numbness and tingling are also tell-tale signs of a herniated disc. In many cases, muscle weakness accompanies these symptoms. The main difference in the indications of herniation and bulging is often severity. How Serious are these Disc Disorders? Is a herniated disc serious? The fact that it can cause debilitating pain makes it a serious condition. There’s also the possibility of you needing surgery for its treatment. Disc herniation can also exhibit itself in the form of sciatica. This condition causes sharp and (often) shooting pains from the buttocks down the legs. It results from a pinched or pressured nerve caused by the herniated or bulging disc. Although rare, perforated discs can also give rise to cauda equina syndrome. It’s a serious problem involving the compression of the spinal nerve roots. It causes serious bladder and bowel control problems. If you find yourself having the constant need to run to the toilet after the accident, see your doctor ASAP. Cauda equina syndrome is a severe condition that needs immediate medical attention. Now, don’t make the mistake of thinking a bulging disc isn’t enough to warrant a visit to the doctor. Granted, it may not be as severe as a herniated one. But there’s no doubt that the symptoms it can bring are unpleasant, even downright ugly. A bulging disc often precedes herniation. If left untreated, that bulge can progress into a disc tear, causing you even more pain and suffering. In many cases, disc disorder symptoms can go away on their own. They often last for about six weeks. But that’s still six weeks of your life that you may have to endure debilitating pain. A month and a half of pain so serious you may not be able to work. Who would bring food to the table in your household then? Who would pay for your medical and hospital bills, not to mention pain medications? In the worst-case scenario, who would pay for your surgery if a herniated disc warrants one? Or take care of things while recovering from surgery? That depends on whether you can prove the other driver is at fault for the car crash. In the case of a rear-ender, this is often easy to prove. But in other situations, it can be difficult to obtain the legal compensation you deserve. Aside from proving the fault of the other driver, you may also have issues with the insurance company. Keep in mind that there are many ways insurers can counter your claim. For instance, they can say that you already had an injured disc even before the accident. They can also say that the accident doesn’t have anything to do with your herniated or bulging disc. That’s why it’s important to see a doctor soon after a car crash. Medical professionals can help you with documentation and proof. As important as getting medical help is so is seeking legal advice. An experienced personal injury lawyer can help raise your chances of getting compensation. Veteran personal injury lawyers understand you’ve already gone through enough pain and suffering. As such, they’ll help you build a case, starting with proving the fault of the other driver. From there, they can help strengthen the link between the accident and your disc injury. Granted, herniated disc vs. bulging disc are different disc disorders. But that doesn’t remove the fact that both can cause serious pain and suffering. The expensive tests and medicines further add to your financial worries. You don’t have to face these consequences of a car crash you didn’t even cause by yourself. Let us help you. Connect with us now so we can give you a free case review.